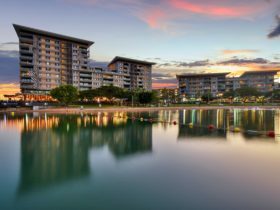 Set next to Darwin Entertainment Centre and overlooking the Esplanade, the welcoming DoubleTree by Hilton Esplanade Darwin is only 15 minutes drive from Darwin International Airport. 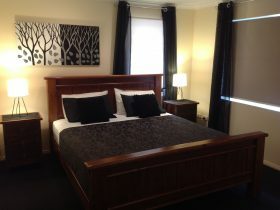 The hotel is within walking distance of the city centre, many major businesses and government offices and historic attractions like the War Memorial and Parliament House. 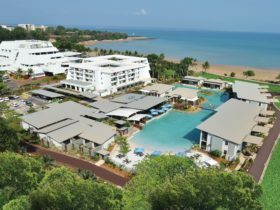 This Darwin hotel is perfect for both business and leisure guests, offering excellent business and recreation facilities, beautiful harbour views and a dedicated team of friendly staff. 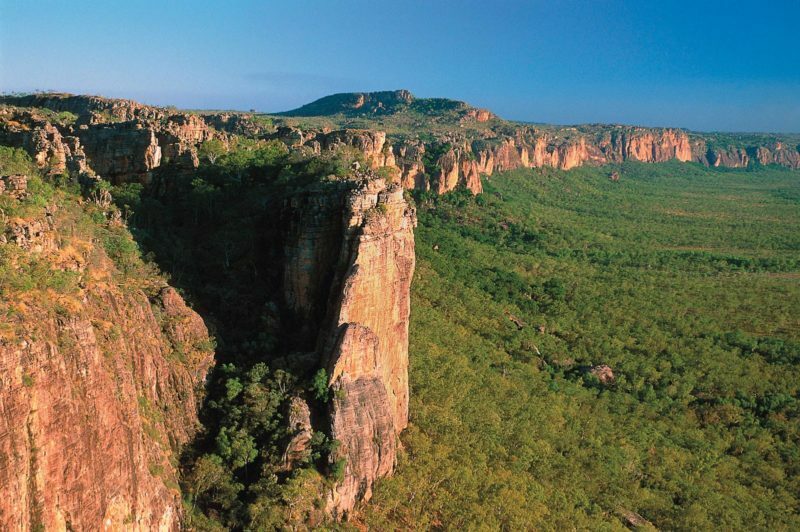 They will even greet you with their delicious fresh-baked cookie upon arrival. 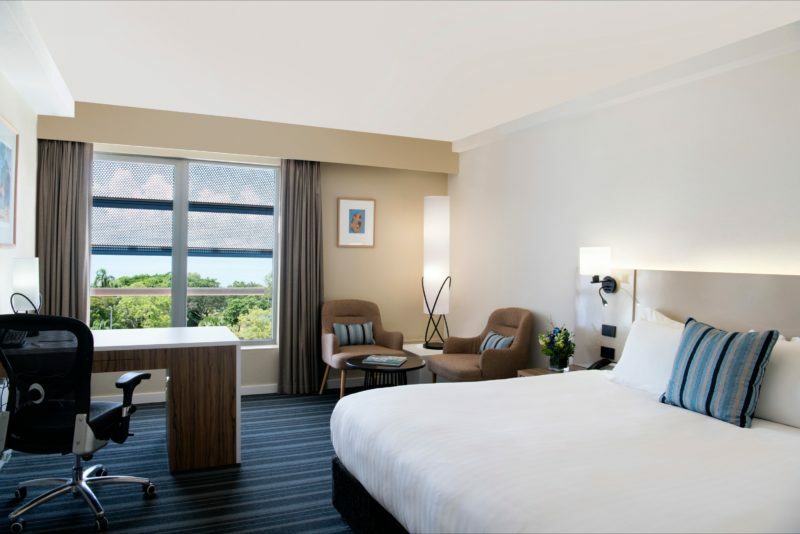 All of the comfortable guest rooms feature modern amenities, including spacious work areas and high-speed internet access. Upgrade to a suite for stunning harbour views and a separate living area. Studio lofts are also available. 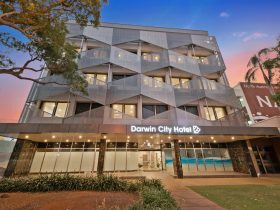 Host a successful event at this Darwin hotel with six flexible meeting spaces, including a grand ballroom, all with the latest A/V equipment. 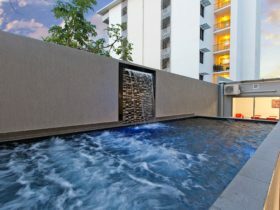 Work out in the complimentary fitness centre or cool down with a dip in the CBD’s largest outdoor swimming pool. Dine al fresco on the sun-soaked terrace at Aqua Restaurant, where you can enjoy modern Australian comfort food in its finest form. 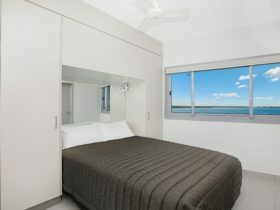 70sq m/753 sq ft, Harbour views, living area, private terrace, two TV’s, desk, Wi-Fi.